According to a reliable source both Mobily and Saudi Telecom Company (STC) will officially launch the Apple iPhone 4 in Saudi Arabia on the week of October 2nd 2010. This confirms our original report that both carriers will provide the iPhone 4. This is odd considering how some STC-branded stores are stilling unofficial gray market iPhones. is there any news on the prices? This is awesome! But I would appreciate, if anybody informs us about the price before the launch and their new Plans and Tarrifs. I heard that axiom is now selling Iphone 4 @ a price o sr. 3850 using visa credit card. If you have the dish, spill asap. Out of topic: Does anybody here know the launch schedule for 4G services in Saudi? I understand that all three operators are waiting for frequency and who will provide it and around when will that be? Thanks for the information guys! Are there going to be any white versions of it ??!!! Any idea if white color would be available? Good news. Lets wait if stocks are available for all of us. Although it means we will have much more supply on launch if STC has joined the race. I assume this would make the price at launch competitive. After sales is a crucial issue as mentioned earlier. I noticed STC is not listed as the official carrier as per the Apple website. So we start lining up outside the stores each day during the 2nd Oct week? Just want to ask if this iphone 4 to be launched by mobily and stc resolve already the issues about some mulfunctions and defects as what we’ve heard during the first released? I have a first release iPhone 4, there is no major issue. Antenna attenuation problems were mostly US and a problem with ATT network. Someone is selling me Iphone4 32GB for SAR 3400/- .It is sealed packed never opened but bought from New York. Si I guess it must be locked one.I need your advise should I buy or not? Please someone give me good advise.Regards. most probably it is an AT&T iPhone, so it is locked. I love my iPhone 4. Php 43,699 for the 32GB Black version. 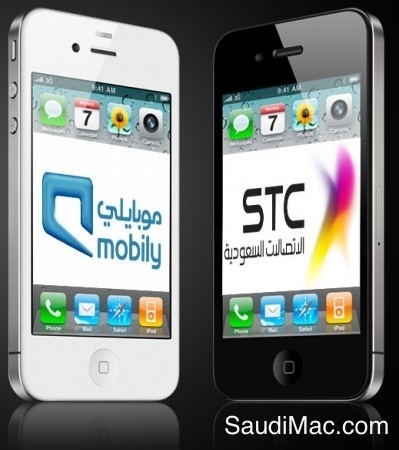 Funny thing is that souq.com, which is the official Neqaty partner of mobily is selling iPhone4 at 4490 SAR! it would really be a good idea that both Mobily and STC will be selling the iPhone 4. in this case there will be enough quantities for everybody. and in my opinion, i guess the price should be the same for both Mobily and STC. they cannot have different prices coz it will create conflict. the difference then would be the customer service performance. which is which. brother khalid is there any news on prices offered by STC for iphone4? for STC, is this factory unlocked? How much is iphone 4 when i buy it in mobily?